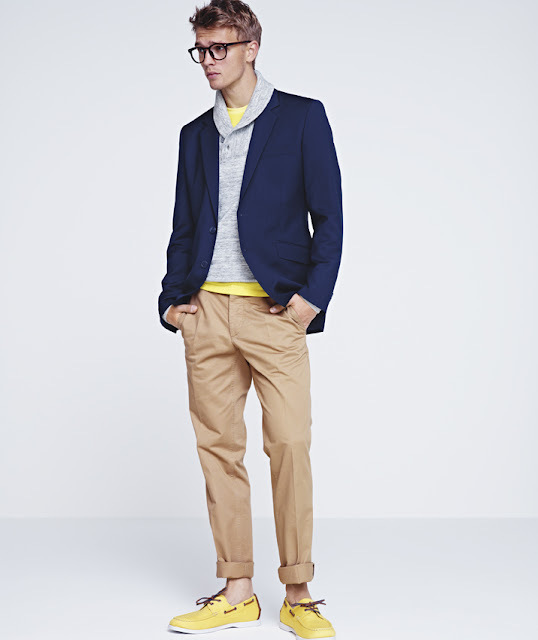 Men Trend is a big fan of the new collection for next summer by H&M. It’s very colorful and very preppy: “très chique!”. We think the Swedish retail giant Hennes & Mauritz did a great job! There are looks for every type of guy that’s out there. You can see pieces such as navy blazers, neon colored shoes, striped tops and strappy sandals. It is all about bright and warm colors. As you can see H&M made use of chinos. There is even a pink blazer! They also made some really nice accessories, such as sunglasses and men’s bags. We are extremely excited for this collection to come out! Be prepared for launch, because we all know that many items go quickly out of stock when they’ve just hit the racks! Take a look now and choose your favorite outfit. Let us know what you think of this collection. Check out the video of the lookbook right now!